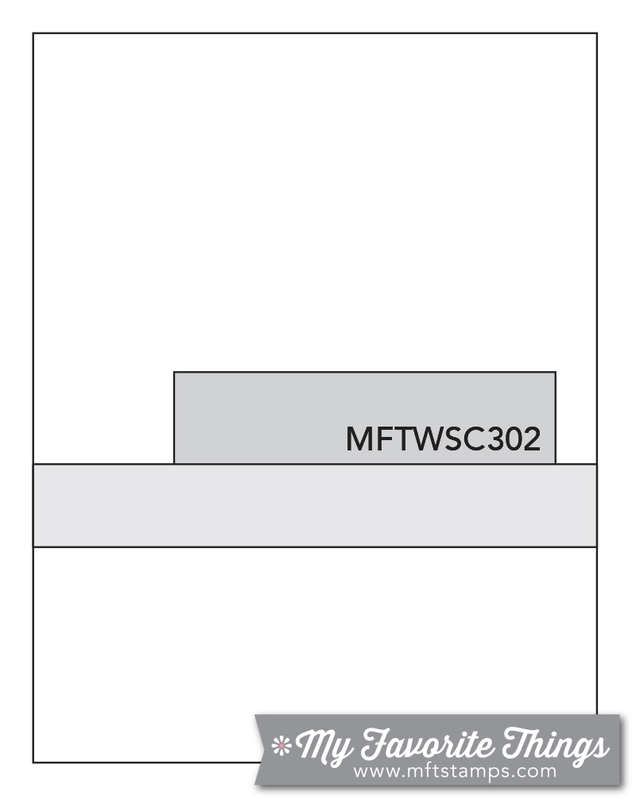 Below you'll find Sketch 302. Create cards, scrapbook layouts, home decor, treat containers, mixed media, etc. using this week's sketch and be sure to link your project below for a chance at the weekly My Favorite Things Gift Voucher worth up to $20. The My Favorite Things Creative Team has been busy getting creative! Let's see what they have up their sleeves for Sketch 302! The simplicity of Vika's take on this week's sketch is breathtaking. A heartfelt sentiment paired with pretty flowers and a bold horizontal line make this sketch one that you'll go back to again and again! May took the horizontal line of the sketch and played up the fun factor with the string of lights. If you look at the Beast Friends stamp set, you'll see that she extended the light string with some masterful stamping. Impressive! On top of that, she masked those adorable yetis for a fun one-layer card. Keisha placed the sentiment on the thick horizontal line and added a grinning jack-o'-lantern from the Spooky Sweets Die-namics for her simple take on the sketch. 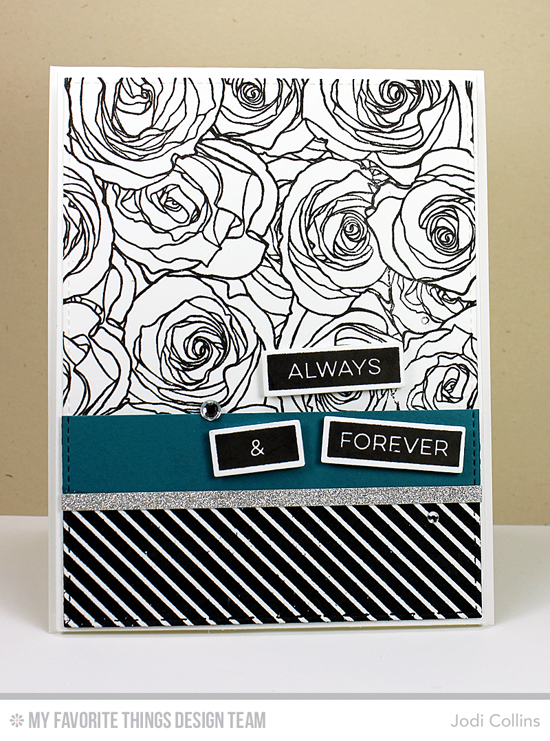 The Moroccan Lattice Background stamp makes for a wonderful backdrop. 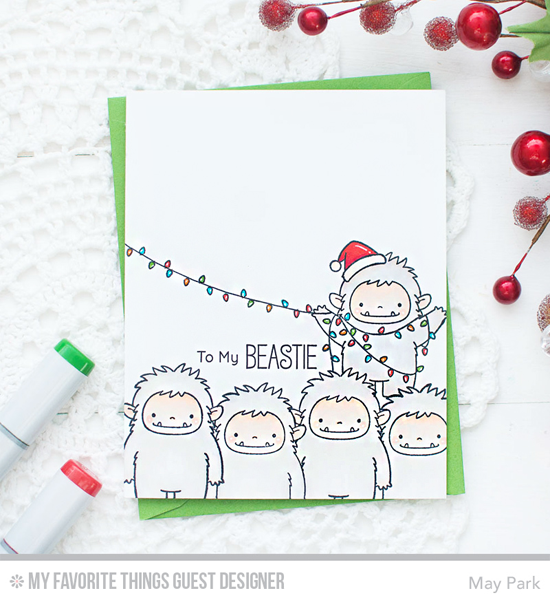 By using small stamps from the Santa's Elves stamp set, Anna created a playful card with festive cats along the horizontal line of the sketch. By adding a hat, holly, and bell to her design, the I Knead You and Cool Cat stamp sets get a Christmas redux. A very Meowy Christmas! Joy looked at the horizontal line of the sketch as a spot for two sweet chicks and a cute bunny to sit. 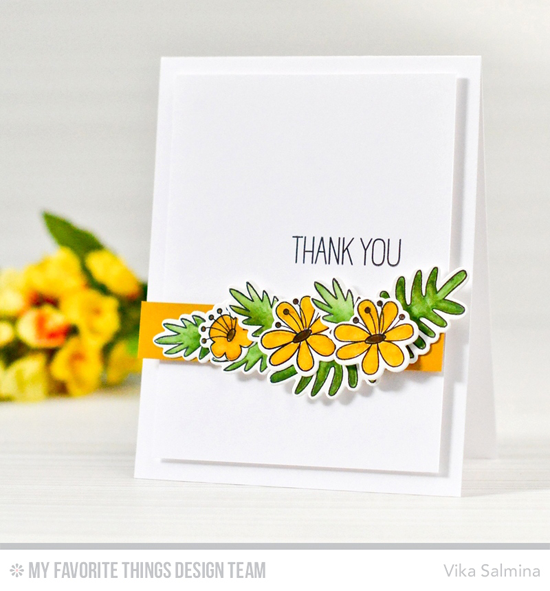 This design is so simple and perfect, and the dimension Joy used to pop up the images from the Somebunny stamp set adds depth and interest to her card. Elegance is the name of the game for Jodi's lovely design. Sophisticated colors, sparkle, and classic roses dominate her take on Sketch 302. What a gorgeous wedding card! Congratulations, Scrappy Géri! You are the randomly selected winner of last week’s sketch challenge. You can view all the entries for last week’s challenge HERE. You have until Tuesday, October 18th, at noon EDT to add your link and be eligible for the prize of up to $20 in MFT Cash to be spent in the MFT boutique. Winners are chosen at random, so everyone has a chance! The weekly prize is a $15 Gift Voucher to My Favorite Things, but if you use MFT stamps and/or dies in your project, you’ll receive an extra $5.